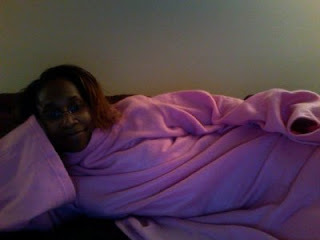 The Snuggie Diaries: First Snuggie Submission, Yay! My family room is drafty because of the garage entrance, and I could suffer no more! 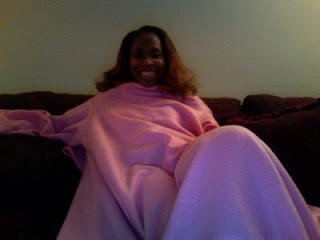 I left work one day and joined the ranks of the "Snuggie-licious"... I bought the pink one! DO YOU HAVE A SNUGGIE STORY or adventure (or even better PICS, we love PICS!)??? Don't keep them to yourself. Share them with us! Just click click "share" on the right side column of this blog. Have you seen the snuggie dance???? ?